Do you think you need a BiPAP machine? BiPAP or “BiLevel” machines are very different from CPAP and APAP machines. A BiLevel machine uses two different pressure settings for inhalation and exhale, making it more comfortable for the user. BiLevels can also deliver a higher pressure than CPAP or APAP machines. There are many more differences, and we’ll go over them below! Purchasing a BiPAP machine can be a significant change and a substantial investment for individuals looking to treat their Sleep Apnea and improve the quality of their sleep. But, is a BiLevel necessary? Perhaps learning more about other PAP therapy options will help you in making that decision. Excessive daytime sleepiness can cause mood and behavioral changes as well as a drop-off in productiveness. Because of the impact of restless sleep, if you are suffering from Sleep Apnea, you may lose the ability to concentrate and remember facts. You might also experience morning headaches or become irritable. The effect on an individual’s health and productivity goes beyond mere financial costs. The benefits of treating Obstructive Sleep Apnea are many and can include a reduction of the severity of the symptoms commonly associated with Sleep Apnea. Benefits can include: better, more restful sleep; increased energy; improved memory and concentration; as well as a decrease in daytime drowsiness. You’re also likely to experience lower blood pressure and improved cardiac health. These are just some of the many benefits to treating Sleep Apnea1. Treatment for Sleep Apnea often requires the use of Non-invasive Positive-Pressure Ventilation (NPPV). NPPV treatments include Continuous Positive Airway Pressure (CPAP), Automatic Positive Airway Pressure (APAP), and Bi-level Positive Airway Pressure (BiPAP). All rely on the use of an air pump, different types of masks, and a tube that connects the mask to the pump. To learn more about the advantages and disadvantages of these different treatments for Sleep Apnea, contact our CPAP experts for professional advice that recognizes your individual needs. “CPAP is an acronym that stands for “Continuous Positive Airway Pressure”. Like BiLevel machines, CPAP machines are used to treat Obstructive Sleep Apnea (OSA). OSA is a condition in which the muscles of the mouth and throat relax during sleep, creating a temporary blockage of the airway. This prevents much-needed oxygen from reaching your lungs, which causes you to wake up gasping or choking for breath. CPAP therapy begins by pulling air from the room. The quiet action of the pump gently pressurizes the air; pressurized air continuously flows through the tube and into the mask. The continuous supply of air applies enough pressure to keep your airways open while you sleep. As a result, you can achieve the uninterrupted breathing needed for quality sleep. Doctors prescribe the level of air pressure you need based on data obtained through a sleep study. In turn, you must use your CPAP machine during all sleeping hours. Different types of CPAP masks exist to ensure the best and most comfortable fit; mask types include nasal, full face, nasal pillow, nasal prong, hybrid, oral, and total face. Along with providing a comfortable fit, a mask must not leak: any leaks around the edge of the mask can create noise and disrupt the effectiveness of the therapy. What is the Difference Between BiLevel and CPAP? BiPAP stands for “BiLevel Positive Airway Pressure” and is a form of PAP therapy treatment designed to meet a unique set of patient needs that CPAP and APAP machines don’t address. For example, BiLevel machines can be used to treat Central and Complex Sleep Apnea, as some models can prompt breathing if the brain does not send the signal to breathe. BiLevel machines are so-called because they deliver one set therapy pressure on inhalation and a different pressure when exhaling. The reduced pressure is designed to make exhaling easier, and provide better treatment. We’ll explain more about this in the paragraphs that follow. The difference between CPAP and BiLevel therapy is also due to of a variation in airflow. With BiPAP therapy, programming in a BiLevel machine causes the pressure of the airflow to change with each breath that you take. Sensors in the BiPAP machine detect an increase in airflow as you inhale and immediately add to this inhaled airflow, increasing its volume. When you breathe out, sensors indicate that airflow has stopped and it reduces the amount of air pressure applied to the airway. As a result of this change in airflow, breathing becomes easier. BiPAP machines can also deliver a higher pressure than CPAP or APAP machines. Most CPAP and APAP machines deliver pressures up to 20, but a BiLevel can blow up to a pressure setting of 25. So if you need a pressure setting above 20, a BiPAP is your only option. 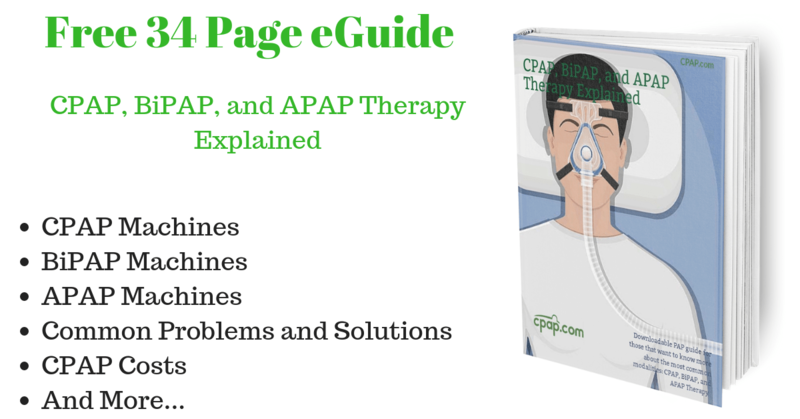 How are CPAP Machines Different from APAP Machines? CPAP machines have only one setting for air pressure. As a result, the supplied air pressure never changes even if your breathing does. However, changes in sleep patterns, moving to a different sleeping position, allergies, colds, or respiratory ailments can cause changes in breathing. 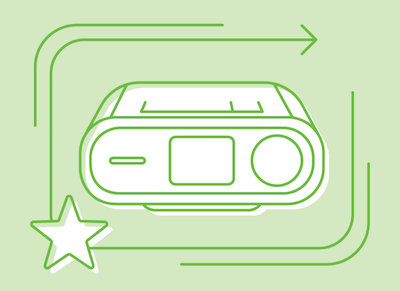 The key difference between CPAP and APAP is important when considering your breathing needs: an APAP machine provides both a low-pressure setting and a high-pressure setting. Programming causes the APAP machine to automatically adjust the pressure between low and high, synchronizing the machine with your breathing needs. With this approach, the use of an APAP often improves an individual’s comfort level. Some machines operate in either the APAP or CPAP mode. In APAP mode, the machine will adjust the pressure automatically, to match your needs while breathing. In CPAP mode, it will only operate at the prescribed pressure. You may find this advantageous if you feel like you’re not getting enough pressure in APAP mode, and you want to reach your prescribed pressure consistently. Should I Choose a BiLevel Machine? It’s important to point out that BiPAP machines aren’t simply a “better APAP machine”. BiLevel machines are prescribed to fulfill a specific need, and often times are used to treat conditions such as Central Sleep Apnea or Complex Sleep Apnea. 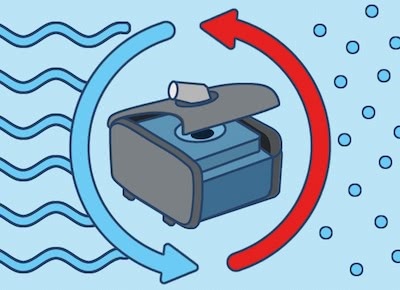 The decision to use BiPAP therapy rather than CPAP or APAP therapy is often up to your prescribing physician.Popular ResMed BiPAP machines integrate a humidifier with the auto adjustment of air pressure; the humidifier adds warmth and moisture to the inhaled air. BiLevel users often report improved results concerning sleep cycles, concentration, alertness, mood, and productivity, along with reduced health risks. 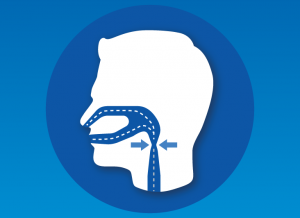 It’s also worth mentioning that CPAPs and APAPs do have a form of exhalation relief available for some models, which can add to patient comfort and create a better experience overall. For more information on this topic, please see our comprehensive article on CPAP machines. There, you’ll find other resources and information about CPAP machines and how they can help in your journey to getting better, more productive sleep. BiLevel Machines Can Also Be Used to Treat Other Respiratory Disorders Like COPD According to scientists writing for the medical journal “Ontario Health Technology Assessment Series” treating COPD with a BiLevel machine was found to help put less stress on the lungs and make breathing less difficult. Treating COPD with a BiLevel machine also made it easier to help supply much-needed oxygen during the night2. Treating Sleep Apnea Has Many Heart Healthy Benefits According to scientists writing for the medical journal “Expert Review of Cardiovascular Therapy” treating Sleep Apnea has many heart-healthy benefits and may improve the symptoms of cardiovascular disease3. 1. Povitz, Marcus, et. al. Effect of Treatment of Obstructive Sleep Apnea on Depressive Symptoms: Systematic Review and Meta-Analysis. Published in the medical journal “PLOS: Medicine” on November 25, 2014. Accessed September 3, 2018. 2. COPD Working Group. Noninvasive Positive Pressure Ventilation for Chronic Respiratory Failure Patients With Stable Chronic Obstructive Pulmonary Disease (COPD): An Evidence-Based Analysis. Publsihed in the medical journal “Ontario Health Technology Assessment Series” in 2012. Accessed September 3, 2018. 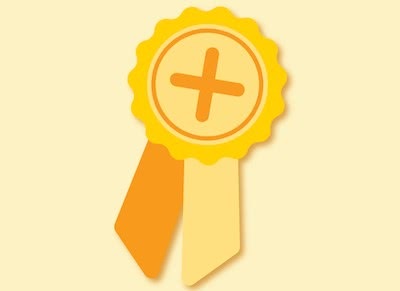 I am very active in sport gym, cycling and power walk. I have suffered with sleep and sleep apnea for a while which has increased my blood pressure during my interrupted sleep evenings. I need to take blood pressure tablets as a result of this.. and causes me not to have a continuous sleep experience. Can you suggest and approach for me? Some this that is compact yet functional. Whichever option you select please remember that we will require a prescription. We are happy to assist you in obtaining a prescription, just give us a call. Really nicely written, and informative. In your article, you don’t say what the letters ST in BiPAP-ST means. I understand that type of machine initiates a breathe for the user, but I’d like to know what ST means. BTW the machine I’m using now has an APAP mode and also adjustable exhalation relief in both APAP and CPAP mode. I swear my machine, which is not a BiPAP-ST, can initiate a breath on its own. It doesn’t say it has that capability in the user manual. But I think the manufacturer has incorporated the feature without documenting it in the manual. To give the user the best possible experience. This maybe to avoid lawsuits from the legal owners of the ST technology. The ST actually stands for spontaneous timed. 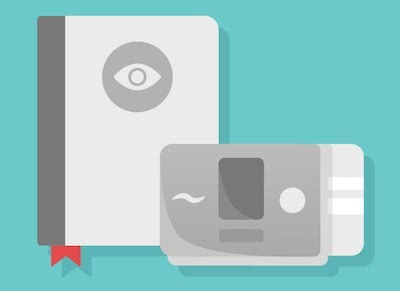 Here is some additional information for you found on our FAQ page https://www.cpap.com/cpap-faq/BiPAP-Machine#what-is-the-difference-bipap-and-bipap-st.
Is there a “travel size” BiPAP available? My apologies, but we don’t have any BIPAP machines that are designed specifically for travel however, the Dreamstation BIPAP may be a good option for you. Please see the link below for a look at the Dreamstation Bipap machines. Please let us know if we can be of further assistance. We can be reached at 800-356-5221, or email us at cpap@cpap.com. Interesting. I wish I’d seen this before I saw my dr. last week. I wonder if I need a Bipap instead of Cpap. Hey Eileen, it is a possibility. We encourage you to speak with your doctor directly about any concerns that you may have to see if a BIPAP machine would fit you better.